As UCLA finished its month of spring practices, the program also sent five players to the next level through the NFL Draft before six more signed with teams are undrafted free agents. Led by first-round pick Takkarist McKinley, UCLA’s five picks were tied for the second most from a Pac-12 school in the 2017 draft. Utah led the conference with eight picks while USC and Washington each had five. Michigan led the nation with 11. 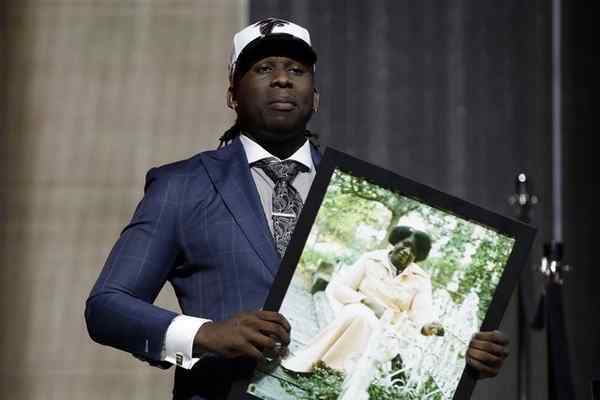 McKinley, whose emotional reaction to getting drafted won the Internet on Thursday night, will reportedly not earn a fine from the NFL after the new Atlanta Falcon dropped an f-bomb on live television. Cornerback Fabian Moreau and defensive tackle Eddie Vanderdoes both heard their names called in the third round on Friday. Moreau, whose recent pectoral injury may have hurt his draft stock, was picked 81st overall by the Washington Redskins after he was projected by some as a low first-round draft pick before injury. Vanderdoes gets to return to Northern California as he was selected 88th overall by the Oakland Raiders. Linebacker Jayon Brown and offensive lineman Conor McDermott rounded out the UCLA field in the draft, going to the Tennessee Titans in the fifth round and the New England Patriots in the sixth round, respectively. Good luck, UCLA Alumni. Hope you accomplish your NFL dreams. Marcus Rios, a guy who almost died from a brain fungus (or something like that), now has a contract for with an NFL team. What an amazing story. Looks like UCLA is a great team to play for if you want to go to the NFL – sending 11 players to the NFL this year.